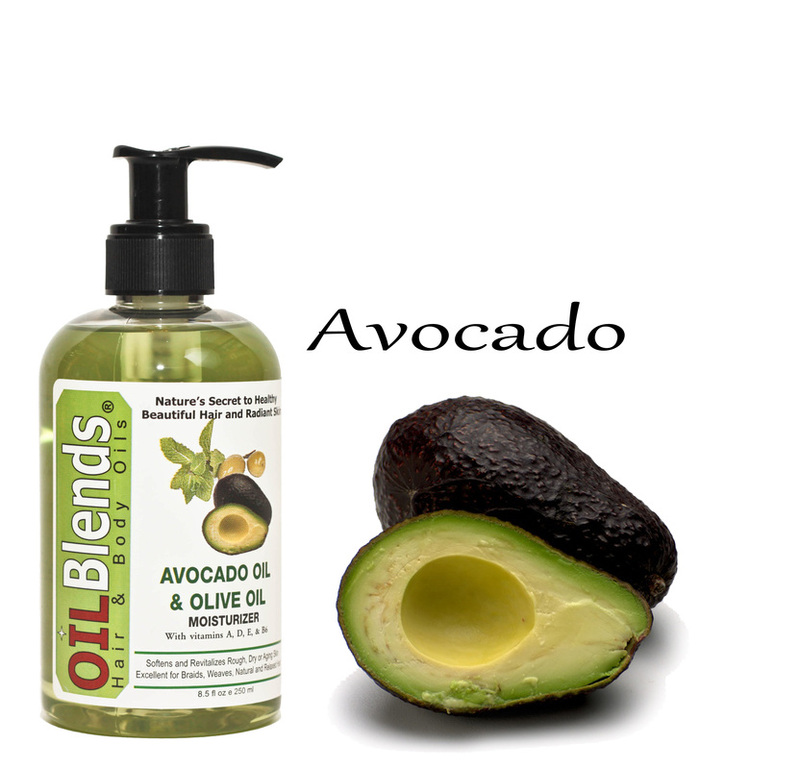 OilBlends Avocado & Olive Oil, 100% pure – is a deep penetrating natural oil which is excellent for dry, dehydrated, mature and sensitive skin. Rich in vitamins A, B1, B2, B5, Vitamin D, E, minerals, proteins, lecithin and fatty acids. Avocado Oil helps soothes, and revitalizes rough, dry or mature skin. Repairs damaged skin such as on the elbows, knees and heels. Excellent for reducing stretch marks, toning the skin, and full body massage. Use a small amount of Avocado Oil to give it a natural sheen and to protect it from the elements. Improves hair elasticity and strength. Helps control dandruff and dry flaky scalp. Excellent moisturizer for natural and chemically treated hair. Suitable for natural and synthetics braids, weaves, wigs and extensions. Great as a hot oil treatment.